Local social care provider Optalis recently held a cultural awareness day to highlight to its customers, staff and partners the importance of cultural diversity and harmony. 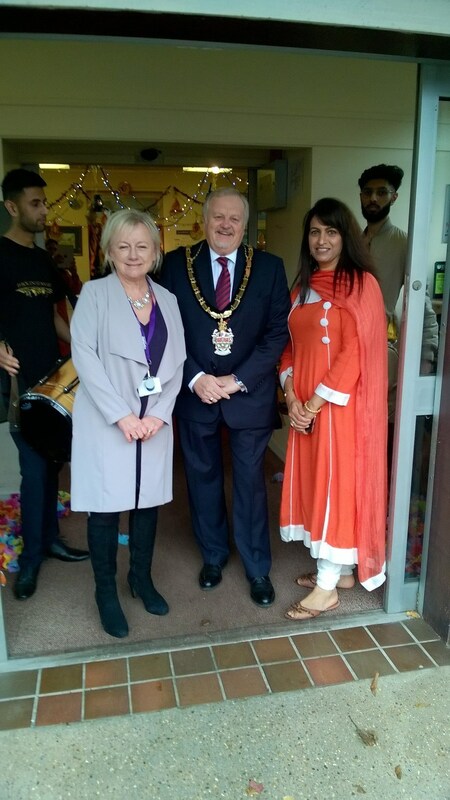 The event which celebrated different cultures, following the week of Diwali, brought together over 100 individuals who joined in with the festivities at Westmead Day Service in Wokingham, Berkshire. Julia Harris, Optalis Assistant Director of Non-Regulated Services, said: “This was a wonderful opportunity to showcase some of the activities that Westmead Day Service offers and raise awareness of how we embrace the needs of different cultures within all of our services at Optalis. The Mayor of Wokingham Borough, Cllr John Kaiser, attended the event on Rances Lane and talked to both customers and staff about the cultural activities held on the day as well as seeing some of the services offered by the team at Westmead such as Rebound Therapy and therapeutic exercise. The event provided an afternoon of dancing, drumming, group singing and refreshments as guests enjoyed a range of music and vegetarian food made by a local carer’s group. Optalis is committed to celebrating diversity and the event provided the opportunity to reinforce that equality is embedded into their culture. Westmead is a Day Service providing a weekday service to people with physical disabilities or long-term health conditions who need support with rehabilitation, physio or keeping active. Next Article Clinical application of the Patient Environment Occupation (PEO) model to support TILE based M&H risk assessment.